Now entering into its fourth year, the Dillard University Center for Law and Public Interest Pre-Law program is furthering its goal to move the needle on diversity in legal education and ultimately, the legal profession. With a $180,000 grant from the AccessLex Institute Legal Education Diversity Pipeline Program, the historically Black college and university (HBCU) has expanded its legal education opportunities to students at two neighboring HBCUs by launching and implementing the Legal Education Advancing Diversity (LEAD) Program and the Foundation to LEAD Program over the last two years. In addition, Dillard’s Pre-Law program has continued to provide students mentorship, exposure to the legal profession, law school admissions workshops and lectures and, significantly, enhanced students’ preparation and familiarity with the Law School Admissions Test (LSAT) — a major barrier to law school entry for many African-American students, said Adria Kimbrough, Pre-Law Advisor for the Center for Law and Public Interest at Dillard. This finding sounds an alarm for Dillard officials, who note that unsuccessful entry into law school by students of color has implications, especially when you think of the role lawyers play in society, Kimbrough added. Alex Gershanik, LSAT Instructor for the LEAD Program and Dillard, said when he first meets students, he asks them to understand how daunting it can be to take the LSAT, matriculate through law school and navigate a legal career. Because of this, exposure to the legal profession and mentorship are integral parts of the pre-law program’s work to support students. When students first enter the LEAD Program, for example, they are matched with a mentor who is a lawyer or judge in the community. “What we do is we take the aspect of HBCU culture that we’ve always been able to do well in terms of nurturing students and affirming students, and then we couple that with the data [and] the things that we know help students be successful,” Kimbrough added, listing initiatives and programming such as LSAT prep, a host of law school admissions workshops, guest speakers and experiential visits. “I meet with every student once a month to do what [students] call ‘life coaching,’” Kimbrough said with a laugh. Kimbrough’s monthly meetings also extend to students at Southern University of New Orleans and Xavier University so that they do not have to travel to Dillard for all programming. “We try to hit on the things that could be potential barriers for students, and sometimes that means making a call to the financial aid office, sometimes that means making a referral to the counselor,” she said. In addition, students hear from program alumni and other figures in the legal community on a range of issues. Speakers have included Judge Carl E. Stwart, Chief Judge of the U.S. Fifth Circuit Court of Appeals; former Attorney General Eric Holder; Michelle Alexander, author, civil rights advocate and visiting professor at Union Theological Seminary; and attorney and Equal Justice Initiative director Bryan Stevenson, among others. An emphasis on wellness — how to manage stress or deal with test anxiety — has increasingly become a priority for Dillard law officials. 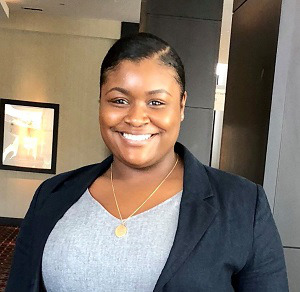 After actively participating in the Pre-Law Program and Mock Trial Team for all four undergraduate years, Dillard senior Raven Morris was admitted to Loyola Law School in New Orleans, Ole Miss, the University of Memphis, Saint Louis University, the University of Tennessee and the University of Cincinnati with scholarship offers. Particularly, the LSAT prep component provided the structure Morris needed to receive a favorable score, she said. Building relationships with lawyers and judges and serving as an original member and former team captain of the Mock Trial Team was also transformative for Morris. Although she hasn’t decided where she will attend law school yet, Morris said she wants to use her law degree to bring equality and justice to her community and ultimately, become the prosecutor for the Western District of Tennessee. 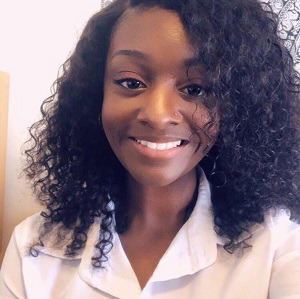 For LaDorria Cole, a senior Financial Economics major and accounting minor, the LEAD program “changed my life in so many ways” — and it still does so today, she said. “From the time of the retreat to kickoff the program, until now, I have been able to receive answers to any questions I may have about this process,” Cole said. “I feel that it not only has helped me get into law school, but it also has helped change my mindset for the better in all aspects of my life. Cole singled out the LSAT prep courses, the monthly meetings and the anxiety workshops as the most beneficial to her, although she said she needed “every single component” of the program. “I know without a doubt that without the LEAD program I would not be attending law school next fall,” she said. With plans to pursue a career in corporate law, Cole said she has benefitted from shadowing professionals and guest speakers, who shared advice on how to maintain the mindset needed to get into law school and how their work supported those in the community. She will be attending the Southern University Law Center in the fall. Last year, 2018 LEAD outcomes indicated that the cohort’s average LSAT of 137.3 (diagnostic score) increased to a 150 (actual LSAT score). Four LEAD students have already received full tuition scholarships to attend law school in the fall. And of the 13 LEAD LSAT takers who applied to law school, nine received admissions offers and four were awaiting their results at the time of publication. Demands for participation in Dillard’s Pre-Law programs and initiatives are ever increasing, Kimbrough said. Moreover, by opening up the programs to Dillard’s “sister HBCUs,” the institution is working towards its goal to diversify the legal profession. 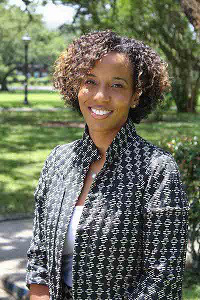 “Our plan, hopefully, is to increase by 20 percent for the next year,” Kimbrough said, adding that she is hopeful that other institutions can replicate Dillard’s successes and more to support students. However, Dillard officials will continue to push the needle.